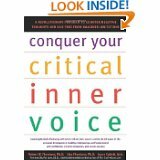 Conquer Your Critical Inner Voice: A Revolutionary Program to Counter Negative Thoughts and Live Free From Imagined Limitations offers means for dealing effectively with negative thoughts, attitudes, and beliefs that are barriers to one’s personal development, sabotage relationships, and interfere with career success. This book provides insights gleaned from 25 years of investigations into the destructive thought process, or “critical inner voice.” It offers the general reader, as well as therapists, the means for dealing effectively with negative thoughts, attitudes, and beliefs that are barriers to one’s personal development, sabotage relationships, and interfere with career success. The chapters outline methods that help individuals identify and counter the voice’s profound influence so they can live more fulfilling lives, develop their own ideals, values, and priorities, and embark on their own search for meaning in life.